The timeshare industry is, unfortunately, renowned for being rife with scammers. That’s not to say that there aren’t perfectly legitimate and above-board timeshare companies out there; there are. And many timeshare owners are quite happy with their decision. These are usually the people who have done their homework to make sure they know exactly what they’re doing, and enter into their timeshare agreement with eyes wide open. At a very basic level, a timeshare ownership typically involves a unit (room, chalet, or suchlike) at a resort, where multiple people hold rights for use of the property during their own allotted period each year. Usually, the ‘sharer’ does not hold any claim of ownership on the property; it’s more likely to be on a ‘right to use’, ‘lease’ or ‘partial ownership’ basis. Most timeshare agreements are a long term commitment. Always make sure you know exactly how long the agreement will last before you sign. You may come across the term ‘in perpetuity’. This means that the agreement lasts forever. These types of agreements are less common nowadays, as rules have been tightened, but it’s best to be on the lookout. Will you want to have this type of holiday every year? What about in five, ten, fifteen years’ time? When you own a timeshare, you may be stuck with one destination, on one particular, immovable week, every single year. Is that really what you want? There are European regulations that are designed to protect timeshare owners in particular countries. However, if your proposed timeshare is not in one of these countries, you will not benefit from this protective support. If something goes wrong, you’ll be on your own. There will, almost invariably, be maintenance fees to be paid every year throughout the length of your agreement. Carefully consider whether you’ll be able to fork out for these fees if your circumstances were to change. A timeshare is not a property investment, and any salesperson who tells you it is would be committing a criminal offence. It’s highly likely that, when you come to exit your timeshare, you’ll get nothing for it. You should do a lot of research before signing anything. In particular, on the timeshare company you’re working with. Scour the web for reviews, talk to other timeshare owners (there are plenty of forums and discussion boards online specifically for timeshare owners), and contact industry bodies. Timeshare regulations within EEA countries (European Economic Area) give you a ‘cooling-off period’ of fourteen days after signing your contract in which to change your mind. Remember that no company is allowed to request or take any money from you during this period: if they do, they are committing a criminal offence. Get your cancellation rights in writing before signing anything, and be certain you’re happy with them. Remember that it is always your right to leave the presentation whenever you want to. No matter what they may try to tell you, you do not have to stay. Any person who actively tries to make you stay is committing a criminal offence. Any ‘special discount offers’ valid for that day only. The presentation going on so long that you consider signing just to be able to leave! Not being left alone to discuss anything with your partner, if you are discouraged from taking notes or communicating with other couples, or if you are kept separate from other couples. You may be offered a special gift or told you’ve won a prize, often something valuable or very desirable, that you’ll only get if you stay until the end of the presentation. Don’t let this sway you if you want to leave. Any companies you don’t know that contact you, whether by phone, email or post, to offer business deals that you have not actively solicited yourself. Contact from companies or individuals who tell you you’ve won something, or been specially chosen. If you’re told that you’ll be offered a gift or prize for attending a presentation, be wary. And if you’re asked to pay an administration fee to cover the value of the gift… run! Any salesperson or company that claims you can become a ‘property millionaire’ by investing in a timeshare. As mentioned above, no timeshare company is allowed to mention the word ‘investment’ as a reason to sign up. Do they have a website? Unless the company has a large, established website with plenty of decent content on it, they’re not for real. Most scammers aren’t around long enough to set up and populate a decent website. Any business that doesn’t have fixed premises is dubious. And if it moves frequently, this is a good sign that they’re running from something! If any company is reluctant, refuses, or makes excuses not to provide paperwork, there’s usually a reason… a bad one. If you already have a timeshare, and want to be rid of it, you’re not alone. About a quarter of a million Brits are in the same situation, and many timeshare contracts can be very difficult to wriggle out of. 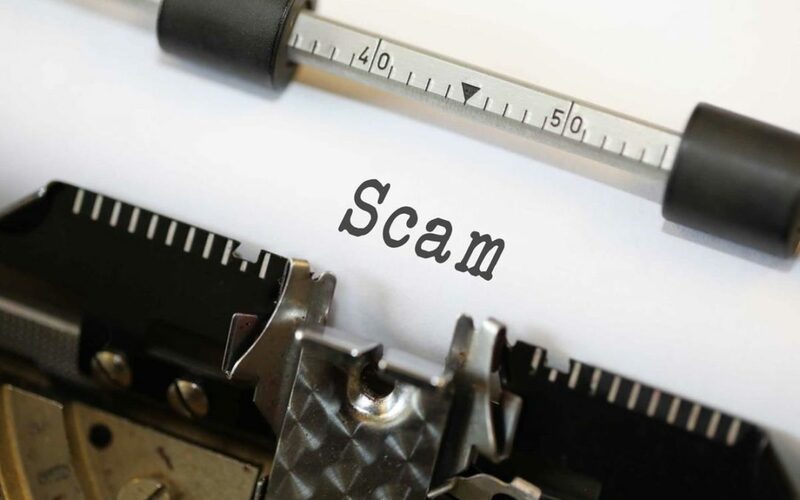 The sheer desperation faced by many people who want to exit their timeshare in a difficult market has, unfortunately, sprouted a new breed of fraudsters claiming to be able to help, whilst actually robbing unsuspecting timeshare owners of more money. Shockingly, the Timeshare Consumer Association (TCA) estimates that a staggering nine out of every ten companies claiming to exit timeshares are actually fraudsters. All the more reason to be very careful indeed when exiting your timeshare. This is a particularly nasty scam, because it targets those who’ve already been duped once. Targeting those who’ve lost out to rogue timeshare sellers, the double dip fraudster is often the original scammer in disguise as a new company… back for second helpings. The company will call claiming to be offering compensation to those who lost out on a timeshare scam. They may even offer much more in compensation than the victim lost in the first place (as a ‘goodwill’ gesture). You know that 14 day cooling-off period we mentioned? The EU law that gives timeshare customers 14 days to change their mind after signing a contract? Well, it just so happens that in this case there appear to be some problems at the offices of the fraudulent timeshare company! How frustrating! It’s taking a long time for them to process the paperwork, and that 14 day cooling-off period is slipping away. Oh blast, look – it’s arrived on day 15, and now it’s too late to cancel the arrangements. What a pity. You are contacted by a company who, by all accounts, seem very respectable. The smooth salesman calls you unsolicited to let you know they have a buyer for your timeshare. Great news! The only thing you need to do is send them several hundred pounds in order to process the paperwork. Of course, once you pay, the company vanishes into thin air… with the only sign of their existence being the warnings all over the internet, which you failed to check before. To summarise, the best thing you can do is to trust your gut. Having read everything above, and done your research, if even one little thing doesn’t seem right, then you should walk away. The old adage rings very true in the shark-infested waters of timeshare: if it sounds too good to be true, it probably is. Even if everything appears above board, it is still a good idea to double check. Industry bodies and citizens’ advice centres will be able to fill you in, and help put you in touch with legitimate companies you can trust.